While one is on their pursuit of greatness, a word that should be alleviated from their vocabulary is “never.” The word “never” doesn’t resonate with people that have a goal and a plan to achieve it. This could not be truer for Chi Upsilon Sigma and Beta Zeta chapter President Alana Brown. Chi Upsilon Sigma National Latin Sorority Incorporated is a predominantly Hispanic organization. 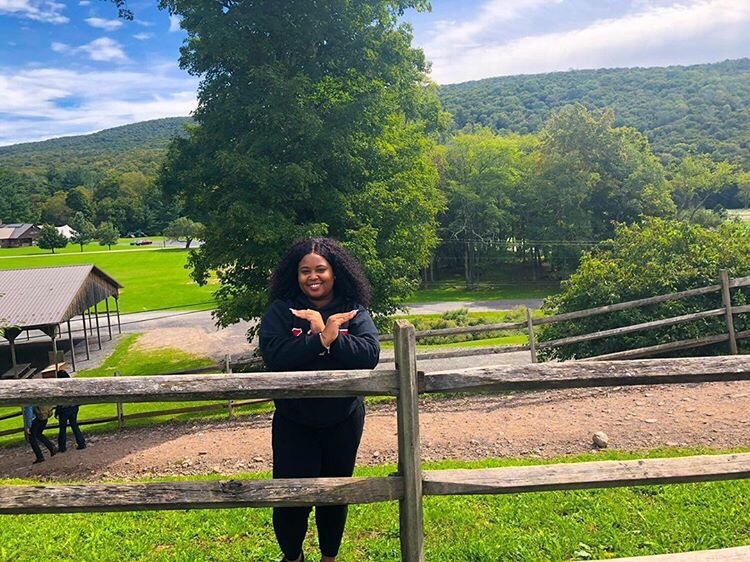 What some might not know is that the Beta Zeta chapter’s highest leadership position is occupied by a 21-year-old black woman from Paterson, New Jersey. Brown was all alone when she joined her sorority in the fall of 2017. She envisioned a better version of herself through her new sisterhood. “I joined my sisterhood because I always felt like I needed a group of women who motivated me into being a better woman for myself and not just for CUS,” she said. Hispanics are a passionate and prideful group of people. As one might imagine, being a black president of a predominantly Latina sorority might come with some expected pushback. With so many predominantly black Greek organizations to choose from, the question of why a Latina sorority and not a black sorority could be raised. Sometimes African Americans and Hispanics can get lost in it all. There are many outside powers working to separate them when in reality they are one of the same. There are so many parallels between African Americans and Hispanic cultures. Greek life for many is where one meets their best friends, build connections and recreate who they are to their peers. It forces change in your lifestyle and can serve as an aid if you let it. Brown is a journalism major with a double minor in Public Relations and Africana World Studies. She has her eyes set on the cosmetology industry and ultimately owning her own shop. The steps she’s taken and the decisions she’s made are calculated and purposeful. Her Greek affiliation goes beyond the surface level. Brown understands that, as a leader and black woman, she has a moral responsibility that supersedes herself. Brown isn’t the first of her kind and won’t be the last. Her contribution to the public perception and individuals of her chapter hasn’t gone unnoticed. Brown’s sorority sister, Gabriela Lora, is a witness of her leadership. Of course, CUS wasn’t Brown’s only Greek interest, but ultimately it was the one that had a lasting impression on her.